Nine CAD/CAD-like genes in P. tomentosa were classified into four classes based on expression patterns, phylogenetic analysis and biochemical properties with modification for the previous claim of SAD. Cinnamyl alcohol dehydrogenase (CAD) functions in monolignol biosynthesis and plays a critical role in wood development and defense. In this study, we isolated and cloned nine CAD/CAD-like genes in the Populus tomentosa genome. We investigated differential expression using microarray chips and found that PtoCAD1 was highly expressed in bud, root and vascular tissues (xylem and phloem) with the greatest expression in the root. Differential expression in tissues was demonstrated for PtoCAD3, PtoCAD6 and PtoCAD9. Biochemical analysis of purified PtoCADs in vitro indicated PtoCAD1, PtoCAD2 and PtoCAD8 had detectable activity against both coniferaldehyde and sinapaldehyde. PtoCAD1 used both substrates with high efficiency. PtoCAD2 showed no specific requirement for sinapaldehyde in spite of its high identity with so-called PtrSAD (sinapyl alcohol dehydrogenase). In addition, the enzymatic activity of PtoCAD1 and PtoCAD2 was affected by temperature. We classified these nine CAD/CAD-like genes into four classes: class I included PtoCAD1, which was a bone fide CAD with the highest activity; class II included PtoCAD2, -5, -7, -8, which might function in monolignol biosynthesis and defense; class III genes included PtoCAD3, -6, -9, which have a distinct expression pattern; class IV included PtoCAD12, which has a distinct structure. These data suggest divergence of the PtoCADs and its homologs, related to their functions. We propose genes in class II are a subset of CAD genes that evolved before angiosperms appeared. 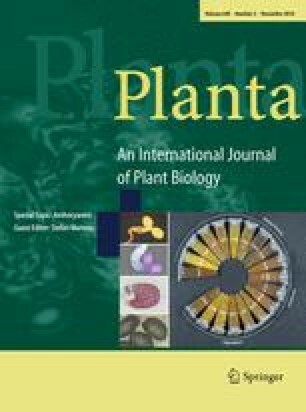 These results suggest CAD/CAD-like genes in classes I and II play a role in monolignol biosynthesis and contribute to our knowledge of lignin biosynthesis in P. tomentosa. The online version of this article (doi: 10.1007/s00425-014-2128-9) contains supplementary material, which is available to authorized users. This work was jointly supported by the National Natural Science Foundation NSF 31300498 to Y.G., High Technology Research and Development (863 Program 2011AA100203) to X.N.JIANG, and Grants J1103516, J1310005 and ITR 13047 for the Basic Science Basement Facility Buildup and Talent Training Program Project from National Natural Science Foundation of China (NSFC) to BJFU.